PG&E announced today, Monday, January 14th 2018, that it will file for bankruptcy in California. The wildfires from the Camp fire of November 2018, plus the Wine Country fires of October 2017 in Napa and Sonoma have weighted Pacific Gas & Electric with potential liabilities that could reach over $30 billion. Its share prices have plummeted 49% to $8.96 a share. The department’s media relations representative Byron Tucker further elucidated to this writer that subrogation claims that will happen could potentially derail the focus from the policy holder claimants. That’s why the Department of Insurance has a focus of concern most decidedly on the policy holder claimants. “You take care of your policy holders first,” Tucker said. San Francisco-based PG&E stated it will file under Chapter 11 of the U.S. bankruptcy code by January 29th. It must give the required 15-day notice to its employees. CEO Geisha Williams was fired by the company’s board. There are conflicting reports that state 57-year-old Williams quit; but however she left, she’s gone, and the general counsel, John Simon, will take over as interim CEO. Geisha Williams had taken over as CEO in March 2017. PG&E stated today that Williams will receive severance pay most likely between $2.36 million and $4.46 million. It depends upon how her departure is categorized. She was paid $8.6 million in 2017, mostly in stock awards. Williams' $3.1 million of pension benefits may be in flux if the firm enters bankruptcy protections. Her unvested stock options and restricted shares will likely be wiped out if the firm enters Chapter 11. She knew the risks that she faced because of wildfire liabilities. She fought to change California law that exposes utilities to liability from wildfires regardless of their negligence. This issue known as inverse condemnation was brought forth in PG&E’s regulatory filing questioning whether it could continue to operate in the future as a private company while exposed to that risk. PG&E now faces rampant litigation and government investigations. It is the biggest power company in the U.S. in terms of customers. Its holding company stated the bankruptcy process will not impact electric and natural gas services for its 16 million customers. The Camp fire that swept through the mountain community of Paradise in November 2018 killed 86 people in the deadliest and most destructive blaze in California history. PG&E could face liability in excess of its insurance coverage if its equipment is found to have caused the Camp fire. The state could find PG&E responsible for the entire array of 2018 wildfires. A federal judge has been ordering PG&E to shut down unsafe power lines. Energy companies that supply PG&E could be hit by its bankruptcy. One of the most exposed is Kinder Morgan Inc., the second-largest North American pipeline operator. Advisers expect it may take as long as two years for PG&E to emerge from bankruptcy. The company has been under pressure from the California Public Utilities Commission to make operational changes. 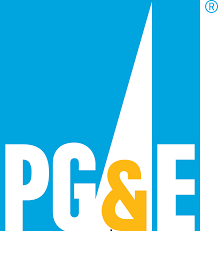 PG&E has stated it is reviewing its structural options and searching for new directors with safety experience.